The 17th Galway Science and Technology Festival, part of National Science Week, involving over 180 events and 35,000 primary and secondary school students will take place from November 10-23 this year. This year’s festival will explore and celebrate the ‘Power of Science’ at events in schools, colleges, research institutes, companies and community centres across Galway City and county. There is a fantastic line up for primary schools this year including the Bug Doctor introducing students to insects and much bigger creatures, Lego Education Workshop will introduce robotics to young children, the Science of Sound shows students how to make sound and test how it travels, and for junior and senior infants Little Cells is back again, introducing students to the concept of cells that form our body. Festival favourites Bubble Magic, Kitchen Chemistry and Jumping Clay make a welcome return. Secondary schools can also avail of many brilliant shows including Dr Ken’s Circus, which reveals the scientific principles used by circus performers using gravity in their stunts, True Physics shows students how to launch rockets and and learn about flight pressure, travel on a hovercraft in The Strange World of Forces by Dr. Paul McCrory, learn how to Bend it like Beckham in James Soper’s Science Shows and perform live experiments in Scientific Sue’s Chemistry Show. 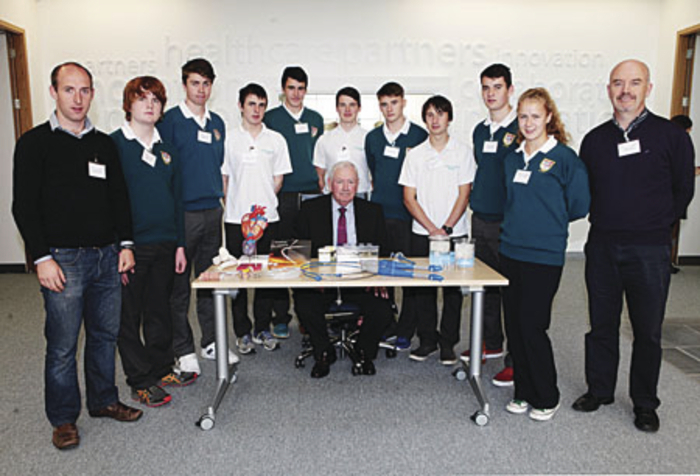 The Reel Life Science NUIG video competition for primary and secondary schools was a great success in 2013 and has now gone nationwide, which aims to promote Science to a wider audience. The Festival is seeking students to submit a short 1-3 minute video communicating a scientific topic in an engaging and entertaining way. There is something science for everyone at NUI Galway this year featuring educational tours to the Geology, Marine Biology and Computer Musuems, school visits and talks including RTE’s BugHunter, the 3rd annual THREESIS Competition where researchers battle it out to get to the point in 3-minutes, Visit the Sea Science exhibition presented by NUI Galway's Ryan Institute at the Galway City Museum and the NCBES Roadshow looks at the exciting future of Biomedicine in Ireland. GMIT will host a series of event - Careers in Science - Live Online in the Classroom; Creating Software Apps and Online Market Opportunities; and Build Your Own Satellite by GMIT’s Civic Engineering and in the Engineering Labs a workshop on Hydraulics/Structures/Surveying. Gerard Kilcommins, Medtronic Vice President of Global Vascular Operations and General Manager of the Galway Site commented, “Since Medtronic became the main sponsor of the Galway Science and Technology Festival 13 years ago, we are delighted to see the event become one of the highlights in the calendars of the educational and science communities in the region. Each year the festival evolved and flourished, adding new and interesting programme activities and I have no doubt this year’s theme, the ‘Power of Science’, will generate lots of excitement for the students of today – the all-important scientists and engineers of the future! The Programme of events is available at www.galwayscience.ie and the Festival Exhibition will open at 10am on Sunday November 23. Bookings can be made at www.galwayscience.eventbrite.com on Friday November 7. Visit www.scienceweek.ie for details of events nationwide or alternatively organise your own event – check out the ‘Get Involved’ guide www.scienceweek.ie/resources/get-involved/ Connect on Twitter @galwaysciencefe and on www.facebook.com/galwayscience and use the hashtag #SciWk2014 and #GalSci2014 to join the conversation. Voluntary work – worth the effort?